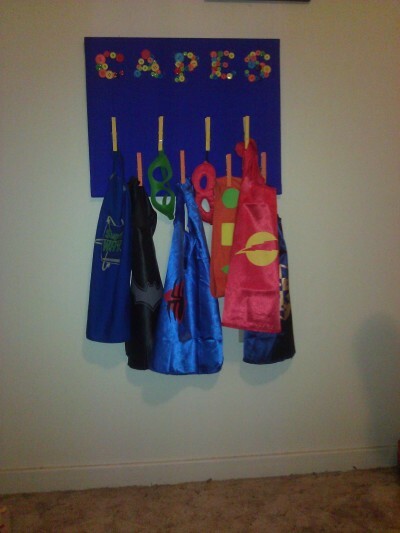 Make this cute cape hanger that your kids will love. Every superhero needs a place to hang his (or her!) cap after all! A fun project your kids can lend a hand in.